On this page you will find news and information about the European Championship – Singles: Men and Women 2016. Please, follow the links to the left or below. The European Championship of Petanque – Singles: Men and Women 2016 is organized by the Swedish Petanque Federation (SBF) together with the Danish Petanque Federation (DPF) and the European Confederation of Petanque (CEP), in collaboration with Ståhlhallen/Halmstad Boulehallsallians. Scroll down to find the latest updates. For players who want to try the lanes in Ståhlhallen and get some practice the boulodrome will open at 09:00 AM, Friday. During Thursday it will not be possible to practice, since the lanes are closed for preparations. In Ståhlhallen Boulodrome you will have the possibility to buy snacks and lighter meals, beer and wine, coffee and tea. And you will have to pay in cash. At Halmstad Theatre, where the closing dinner will be held, it is also possible to pay with credit card. The EC Singles in Halmstad will be broadcasted live by Thorells Event in cooperation with the Swedish Petanque Federation (SBF). Transmissions will start with the first game on Friday afternoon and finish with Sunday's finals. It is free to watch but you need to log in at the BouleTV channel. The only way to make sure that you will be able to see the games of your own choice, and to get a true live experience, is to buy tickets and take a seat at the grandstand in the boulodrome. 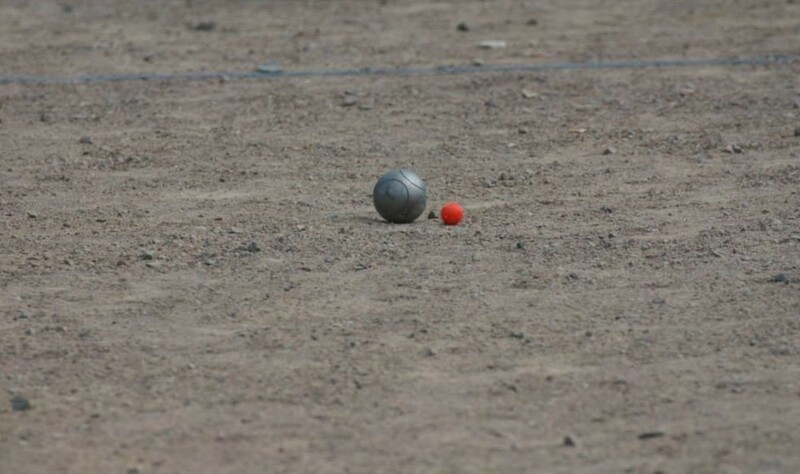 But this way we can offer those who doesn't have the possibility of coming to Halmstad to still take part in the very first edition of the European Singles Championships of Petanque. Follow this link to enter Ståhlhallen boulodrome, Friday to Sunday. Poached salmon served with a cold sauce with whitefish roe, green peas, asparagus and dilled potatoes. Cold platter with regional specialities from Halland, such as marinated chicken, cheese and smoked salmon. Served with homemade bread, fresh potatoes in dill and cold sauce. The classical Swedish ”Tjälknöl” (”Frost-bump”) – slow cooked beef tenderloin – served with potato gratin and parsley sautéed carrots. Rich and tasty beef soup, homemade bread and flavoured cream cheese. Table water and coffee included. The bar will be open from 18:00. Tickets for the EC Singles in Halmstad are on sale, starting Tuesday the 18th, 10:00 AM. The entrance fee is, of course, included in the registration fee, and those who has registered via the CEP registration form don't need to do anything else to get a seat. Other spectators within the Nordic countries can buy their tickets at Ticketmaster. Visitors from other countries may try Ticketmaster's international page or send an e-mail to our EC Coordinator in order to reserve their tickets. Tickets are 250 SEK (plus service charge, 25 SEK) for the entire championship. Friday: 60 SEK, Saturday: 100 SEK, Sunday: 150 SEK.